An undercover Which? investigation into the quality of eye tests has found that almost half of opticians investigated were not up to scratch. We sent undercover researchers into branches of independent opticians and chains such as Boots Opticians, Optical Express and Specsavers for an eye test, and asked a panel of experts to assess recordings of the appointments. A total of 13 out of the 30 optician consultations were rated as poor or very poor by our expert panel. In the worst cases, optometrists issued inaccurate prescriptions that didn’t correct eyesight problems such as astigmatism or double vision, which would have left our researchers with unsafe glasses. Some optometrists are also failing to warn patients about common eye health problems. Important tests were also missed, such as checking the pressure of the eyes or looking at the health of the front of the eye, that could reveal potentially serious eye health problems. All of our undercover researchers were aged all over 40, meaning they were at higher risk of problems such as glaucoma. Independent and small regional stores were the only type of stores we visited that did not carry out eye tests rated unsatisfactory by our expert panel. All of the big chains had at least one unsatisfactory appointment – and some as many as three. Which? magazine editor Richard Headland said: ‘We rely on opticians to provide us with care and advice we can trust. ‘Our research, while only a snapshot, shows some shocking findings including too many instances of inaccurate prescriptions, inconsistent advice and failure to provide the correct eye tests. We did encounter some examples of great practice too, including one visit to an independent optometrist that was rated ‘excellent’ because of the thorough eye test, clear advice and accurate prescription. The majority of our appointments resulted in prescriptions that would have corrected eyesight problems and made activities, such as computer use and driving, safe and comfortable. But we also experienced some worrying appointments that resulted in our researchers being given a spectacle prescription that wouldn’t correct problems with their vision, or that could be unsafe. One researcher would have seen double as soon as they walked out with their new glasses. Vision Express gave one of our researchers a glasses prescription that wouldn’t have corrected their double vision. Not only would this have made it unsafe for them to drive, but our experts said they would have ‘seen double as soon as they walked out’ wearing the unsuitable glasses. Although the researcher said they had double vision, the optometrist didn’t ask any follow-up questions, and the tests they carried out on their glasses didn’t pick up on the fact they corrected double vision. The same researcher attended a different test at Asda and was given a prescription our experts said was ‘nonsensical’ and couldn’t be used to make a pair of glasses. The optometrist also gave incorrect advice to our researcher, who was told that they’d struggle to get used to a change in prescription as they had become used to their old glasses – something our experts told us is incorrect. On an Optical Express visit that our experts deemed ‘shocking’, another researcher was given a prescription that would’ve affected distance vision greatly, meaning it would be unsafe for them to drive. One of our undercover researchers had clearly visible age-related deposits, called drusen, in their eyes. Our expert panel expected the condition to be noticed during a standard eye test and explained to the patient so that advice about diet, UV protection and smoking could be given. But our researcher was only warned about the condition in one of the five appointments they attended, and this was at a small regional chain. Patients with drusen are at higher risk of developing macular degeneration, a sight threatening condition, so it’s important to be given advice on how to stop them worsening. One patient with a family history of glaucoma was told to come back for another test in two years – a time-frame exceeding national guidelines. One of our researchers has a close family member who lost their sight in one eye because of glaucoma (where the optic nerve is damaged, usually due to high pressures inside the eye). Anyone aged over 40 who has an immediate family member with glaucoma is entitled to NHS-funded sight tests. National guidelines recommend they should usually have an eye test once a year to make sure they aren’t suffering from the same problem. 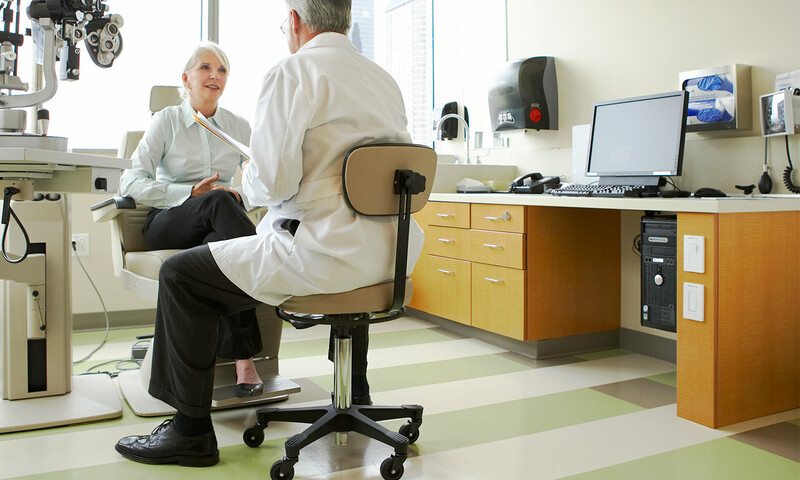 But at their appointment with Vision Express, they were told to come back in two years – a time-frame our panel thought was too long for this patient. 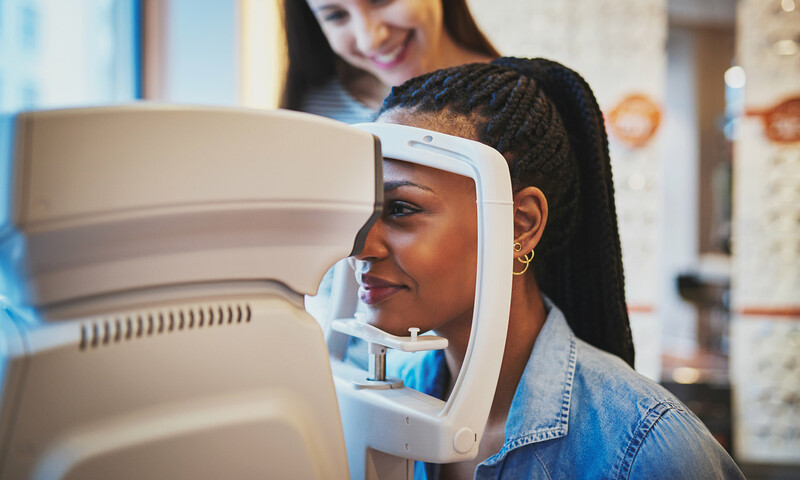 A vital part of a test is getting a good case history – your optometrist should ask about any problems you’ve previously had, especially if you’ve had to visit the hospital because of your eyes, and should ask about symptoms such as headaches, floaters and flashes of light. In one of the Optical Express visits, our researcher was asked to fill in a form just before their appointment, which asked a lot of comprehensive questions about their eyes and general health. But the optometrist didn’t follow up on any of their responses, and this meant they weren’t able to give good advice based on what they knew about the patient. Our panel expected the researcher with a family history of glaucoma to receive an eye pressure check and a visual fields test to make sure they had no significant problems that could be damaging their optic nerve, and that they weren’t losing their peripheral vision. All of the optometrists they visited checked the pressure inside their eyes, but Specsavers did not assess their peripheral vision, which could mean that any loss of peripheral vision would go undetected. One positive aspect that emerged was that our researchers did not experience pressure to buy new glasses. When we ran a similar investigation into eye tests in 2011, we found that, in two cases, optometrists recommended our researchers buy new glasses even though their prescriptions hadn’t changed. Happily, we didn’t find any evidence of such up-selling during this research. Our undercover researchers didn’t report much pressure to buy glasses, although one had to turn down a contact lens check and hearing check more than once. Most were given instant prescriptions, but one researcher was given a cost calculation sheet for laser eye surgery instead of a full prescription after visiting Optical Express. Asda, Boots Opticians, Optical Express, Scrivens, Specsavers, Tesco and Vision Express all responded to the results of our investigation. They expressed concern about our findings and told us they welcomed customer feedback and will take these findings on board to consider any service or performance issues. They said that they are committed to high standards and the best service for all patients. Optical Express said it was surprised at our feedback and did not feel it reflected its daily high-quality service. Asda felt our review didn’t reflect the standards maintained across its total optical offering. While Vision Express deeply regretted if its usual high standards had fallen short and said it would take further steps to investigate. Got a complaint? Find out your rights when dealing with opticians. We sent trained fieldworkers using hidden audio recorders to opticians to detail the tests that were done and the service they received. Before their visits, each fieldworker had thorough eye examinations by two expert optometrists, who agreed on their findings. 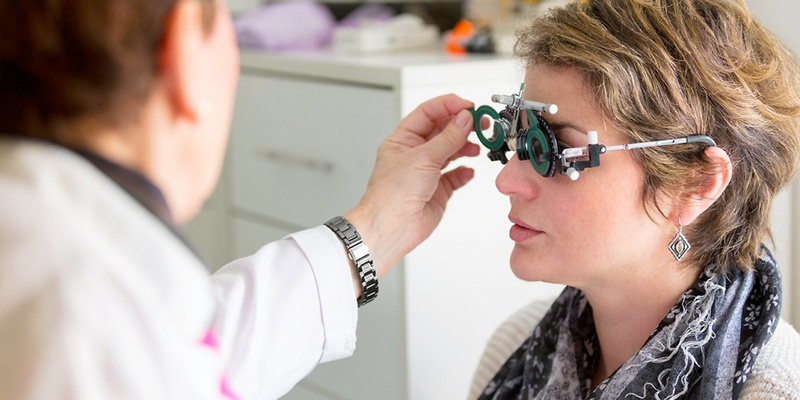 We asked three experienced optometrists (our expert panel) to review the appointments: including case history eye tests conducted, suitability of prescription; and whether the patient had been given correct advice. They rated each visit from ‘very poor’ to ‘excellent’.